Hot Mic - Cincinnati's Fully Improvised Musical Returns! 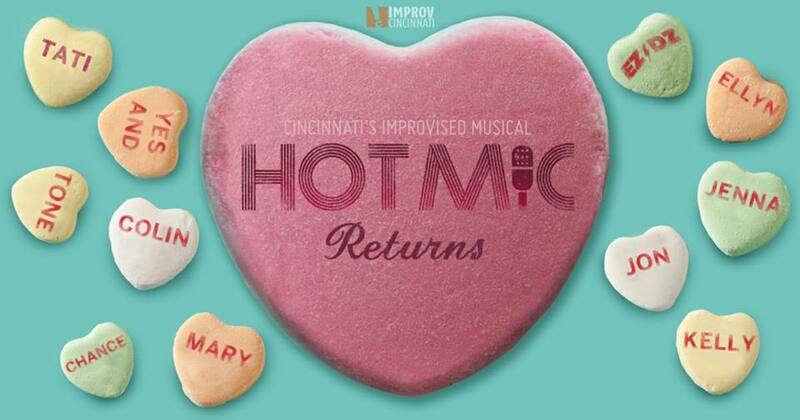 Improv Cincinnati presents HOT MIC! An amazing experience! A team of improv comedians & musicians create a musical on the spot! Everything is improvised - scenes to lyrics to music. Don't miss this joyful heartfelt production! Beer, wine, snacks avail. Improv Cincinnati at Clifton Performance Theatre presents... HOT MIC! An amazing experience where a team of improv comedians and musical accompanists create a full length improvised musical. Everything is improvised, from the scenes to the lyrics to the music. Don't miss this joyful heartfelt production! Beer, wine, and snacks available.